In preparation for an upcoming work related project, I need to record a video for a client’s website and include both their voice and that of someone asking questions. I was hoping to keep it as professional as possible and will be using my Lumix GX8 DSLR.f I am using my external Rode shotgun microphone with a wind muff and “was hoping” it would work if the questioner was slightly off camera and the microphone was pointed at the on-camera subject? Unfortunately in my weekend test before taking it to the meeting this week, I realized that even a relatively quiet background was being picked up – the landscape pond water feature was 20 feet away, yet sounds like it is 2 feet away! My concern is in wanting “just the voices” in an outdoor setting without having to purchase lavalier mics. 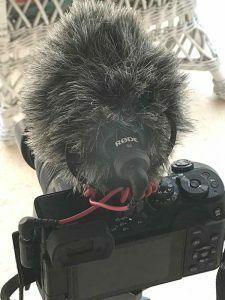 I’m not a videographer or audio sound guy and am hoping for some insight. Thoughts?